nice dresses, though some of these dresses are a bit too "puffy" if you'd ask me. But i guess that's just a matter of taste. 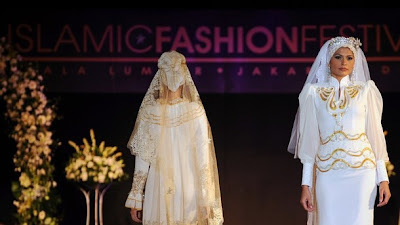 nice, but some of this dresses are not very islamic, and there is a little too much citch for my taste. but some are very but very very beautiful. so my Allah bless you all inshAllah. sis Jana, you've done a great job for this website! i've been coming back to checkout the new updates. these bridal dresses are beautiful. however, i do hope that one day, we have our own islamic bridal dresses without having to "copy" the western bridal dresses. I think the bridal gowns are fab, i wanted to know how i could purchase something similar for my wedding in May...can anyone help and suggest how i can purchase a nice islamic gown?